The underlying basis of my works is to modernise traditional jewellery items. I find inspiration in the cultures of African and Greenlandic tribes and adapt these aesthetics with the help of modern techniques and from a Western artist’s perspective. 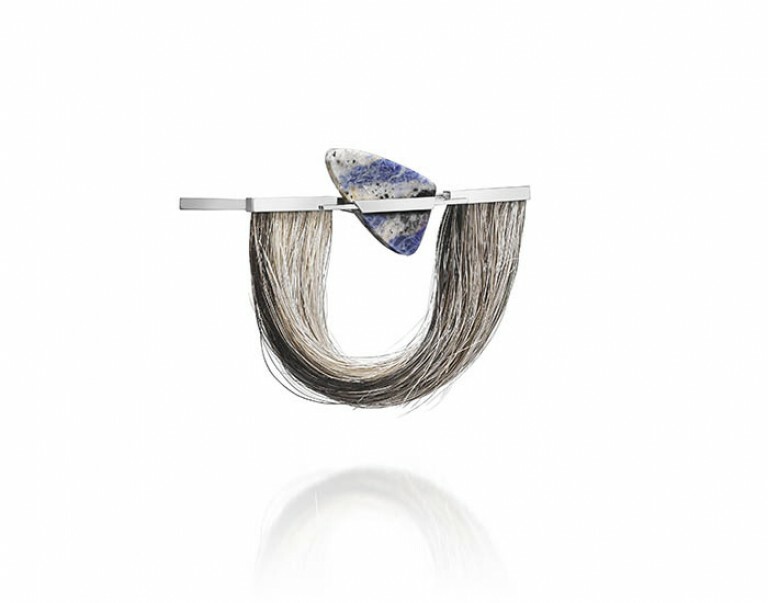 The inspiration I draw extends to materials, scale and where on the body the jewellery is worn. These are three parameters along which tribes in the North and South historically have explored extremes – and between which Denmark and the present day is situated in the middle. In other words, I wish to use the past to challenge our contemporary and somewhat rigid notions of how to adorn the body, and in so doing help shape the future. I make use of organic materials and shapes in my work and allow for them to collide with stringent, Scandinavian design elements. It is all about seeing what happens when culture and nature crash together. Connections includes whale teeth, bones from tundra animals and a mysterious rock, which came with the last boat to Europe as Africa closed down the exchange of raw materials ten years ago.